The culinary skills of my American grandmother and Japanese mother were at opposite ends of the spectrum. My grandmother was a good southern cook who made killer cornbread and collard greens. I loved her food except the green beans that she cooked to death and seasoned with a big dollop of bacon drippings from a little jar she kept by the stove. We moved back to Japan in the 60s where my mother, no longer able to rely on my grandmother’s cooking, bought into the convenience of canned green beans from the commissary. These watery, pale and flavorless things sealed the deal – I avoided green beans for most of my early adult life. Then a friend introduced me to stir-fried green beans, firm and bright green. I discovered caramelized shallots about the same time and it wasn’t difficult to make the leap to adding the shallots to the beans. 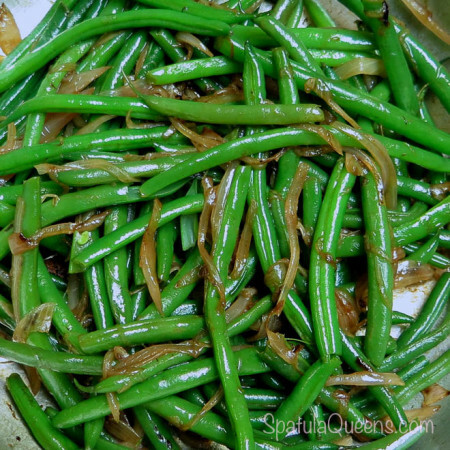 Cooked quickly to retain texture and color, the stir-fried green beans are dressed up with caramelized shallots that add loads of flavor. This is when I learned to love green beans. My family doesn’t care for the barely cooked taste and texture of quickly stir-fried beans, so I blanch them (plunge them in boiling water for a few seconds) before stir-frying. 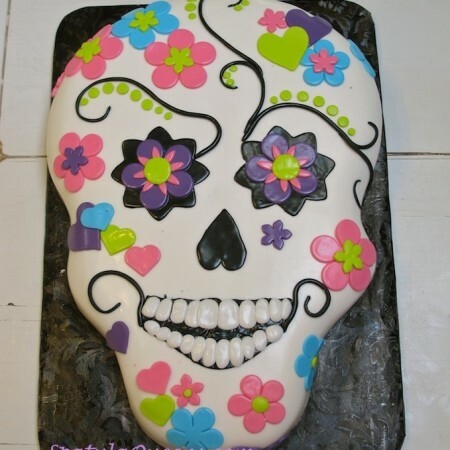 This softens them slightly, knocks off the “raw” taste and has the added benefit of brightening the color. I live for dishes that can be cooked in one pan so I use a medium, deep-sided skillet to cook the shallots then use the same pan to stir-fry 12 to 16 ounces of beans. If cooking a lot of green beans, a wok is better even if it is a little over-kill for the shallots. To blanch the beans: drop them into a large pot of boiling water for 60 to 90 seconds. 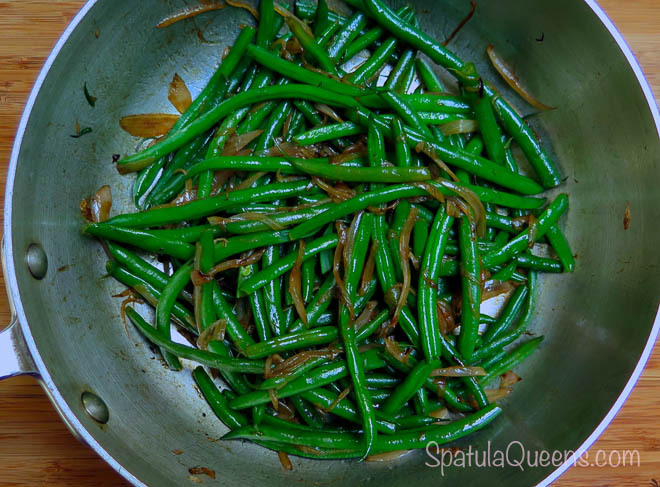 If you are using haricot verts, the small, thin French green beans, cook them for no more than 30 to 45 seconds. 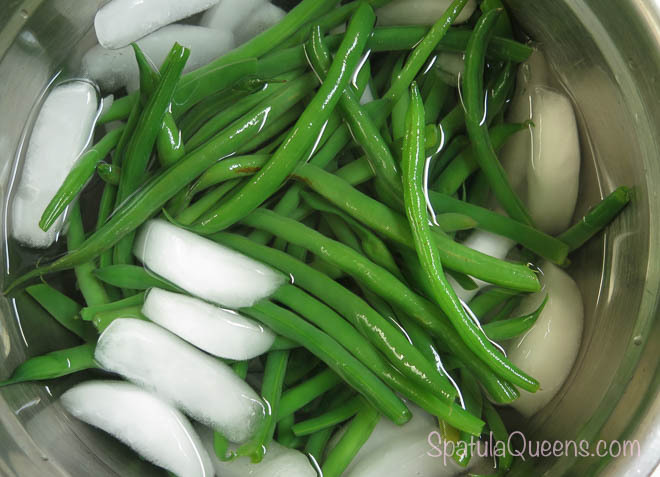 Drain the beans and immediately plunge them into a big bowl of ice water to stop the cooking. Drain them well – try to avoid adding really wet beans into the stir-fry skillet. 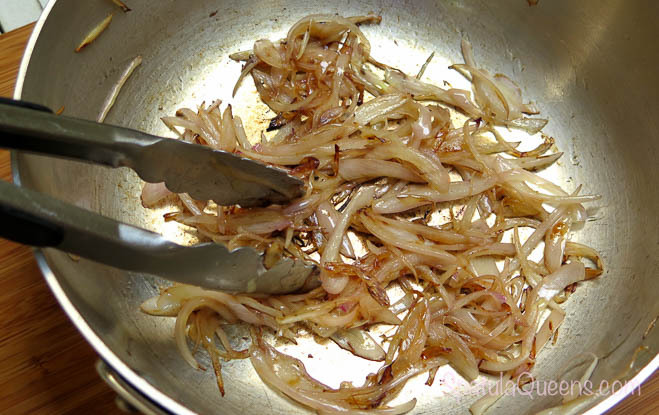 To caramelize the shallots: Thinly slice two or three medium shallot bulbs. Heat two teaspoons of olive oil in a skillet and add the sliced shallots. I have seen recipes that call for tablespoons of butter but I find just this little bit of olive oil is enough to both cook the shallots and stir-fry the beans. Cook on medium high heat, stirring until the shallots are browned and caramelized, about 10 to 12 minutes. 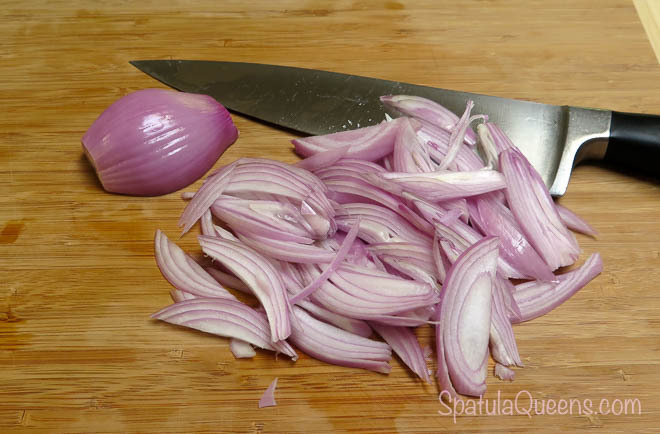 Transfer the shallots to a small dish and set aside. Alternately, you can push the shallots to one side of the pan. Keep the skillet and any remaining oil to stir-fry the beans. Heat the skillet back up until it is very hot and add the green beans. Use tongs or large spoon to stir the beans to keep them from scorching. There should be no need to add additional oil; the oil left in the pan from the shallots should be enough. Stir-fry until the beans are to your liking. Sprinkle with a little salt then toss with the caramelized shallots and serve immediately while piping hot. 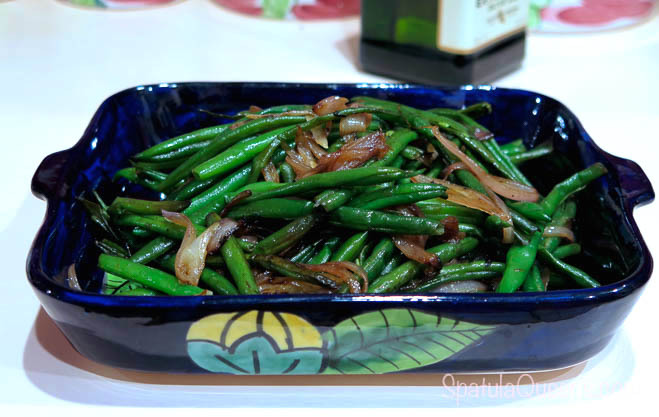 Cooked quickly to retain texture and color, the stir-fried green beans are dressed up with caramelized shallots that add loads of flavor. The stir-fried beans are blanched (plunged into boiling water for a few seconds) before stir-frying. 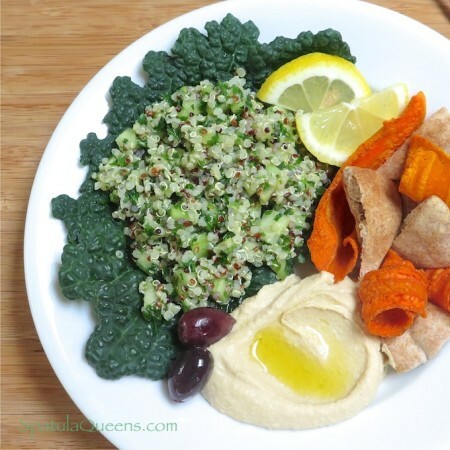 This softens them slightly and knocks off the “raw” taste and has the added benefit of brightening the color. Blanch the beans by adding them to boiling water for 60 to 90 seconds. 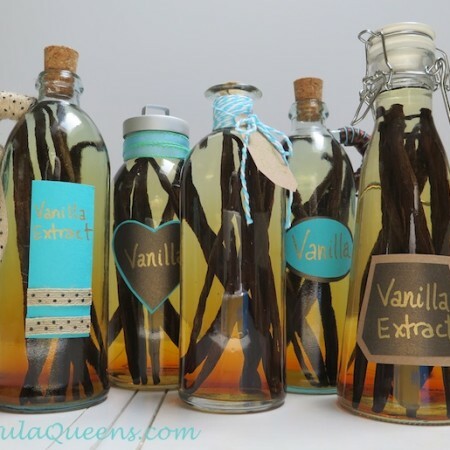 If using haricot verts, only blanch 30 to 45 seconds. Drain the beans immediately and plunge into iced water to stop the cooking. Drain and set aside. 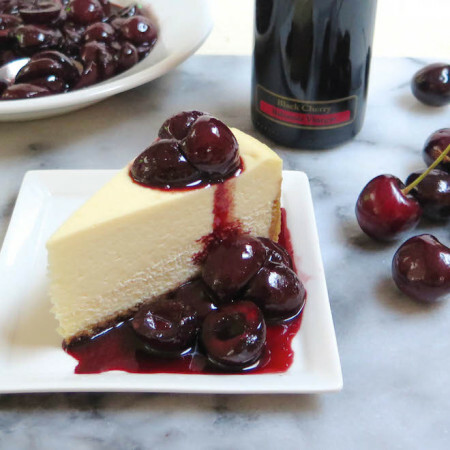 Heat the olive oil in a skillet or wok. Cook the shallots over medium heat until caramelized and browned (about 10-12 minutes). Transfer shallots to small dish and set aside. Reserve skillet and any oil remaining in pan. Heat the skillet back up and add the beans. Stir-fry until the beans are cooked to desired doneness. Add salt to taste and toss with the caramelized shallots.